Weekly activities continue in the Centre including Roma childrens’ literacy class, refugee church and nearby the feeding programme for homeless people. Weekly activities make good use of the spaces, including Sunday worship, school for about 80 children, youth groups, and autumn classes of a theological school. Several high-profile conferences took place in the Centre last year including two organized by leading local accountancy firm Kreston Bulmar. Another tenant has taken up the lease of an office, but three more are still available and advertising continues. Unfortunately the ground-floor café Coffee-ology closed through lack of trade, and a new tenant for the space is being sought, but adjoining this EIRE Pharmaceuticals now rents the medical centre spaces, offering ophthalmology and orthopaedic services. Last year new laws proposed by the Bulgarian Government were a major concern for the future of the Centre’s and Church’s work. Proposals included registration of minority religious groups, a ban on religious schools, restrictions on donations from outside Bulgaria, on worship outside designated buildings, sermon content, meetings being led by non-Bulgarians, and distribution of literature. These provoked eight days of peaceful protest on the icy winter streets of Sofia, much lobbying and prayer from Christian Groups, and some forceful correspondence from the Council of Europe. The final vote took place on 21st December 2018, the last day of parliament before the Christmas recess. To everyone’s relief and great joy every one of the oppressive proposals were diluted or abandoned, and this debacle has had some very positive results. The churches have been able to influence parliamentary working groups and achieved positive recognition, including in the media, Christians’ work has been recognized as valid and useful, and their leaders have become more united. International support has been mobilized, the EU has acted, and democracy has been seen to work in Bulgaria. During the protests every MP was given a Bible. On the downside, being a social enterprise the Centre may have to pay additional taxes in the future, straining the finances, so the need for support continues. The BPT has contributed to paying this year’s dues. Another great achievement last year was the publication of the story of the building and fitting out of the new Renewal Centre. 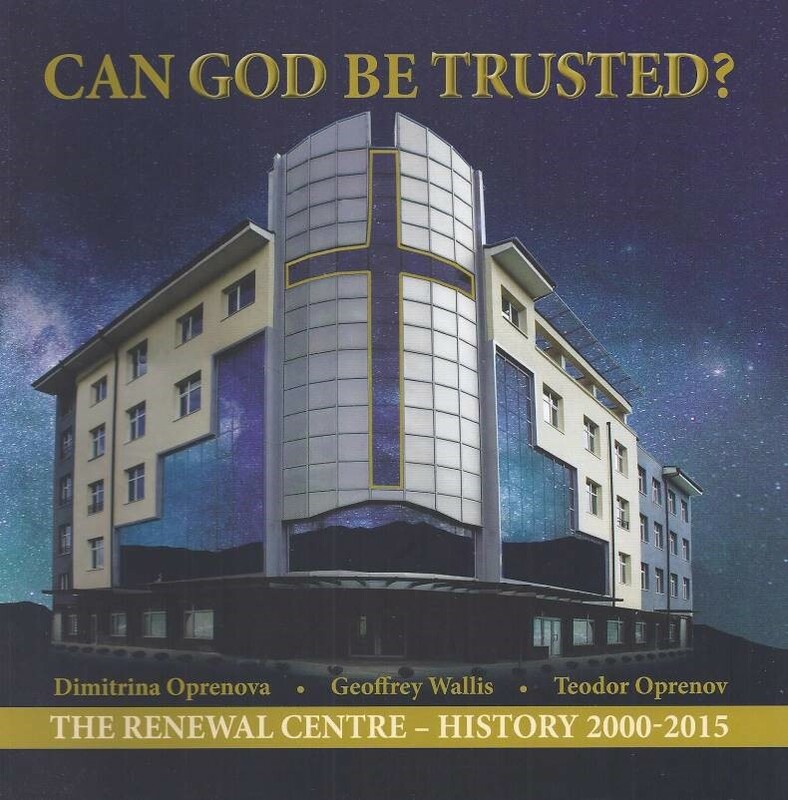 This beautifully produced 140 page book tells the human and spiritual story behind the vision and the remarkable journey over fifteen years in which the Centre was built. 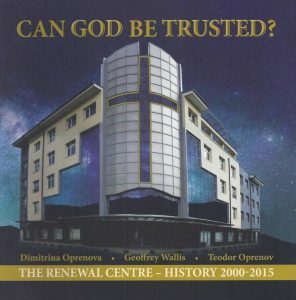 Sofia Baptist Church and its Good Samaritan Foundation started the millennium with virtually no funding for the project, yet spent about £1.5m, and at no time was construction delayed through lack of money! YOU the supporters of the Bulgarian Partners Trust played a big part in this success, so this is YOUR story! I have plenty of copies available, and would love to send you one, just please ask. We invite a donation of £20 to cover the cost of producing the book, but you will not be disappointed. If you have already read the book, please let me have your comments as we would like to publicise them as reviews. 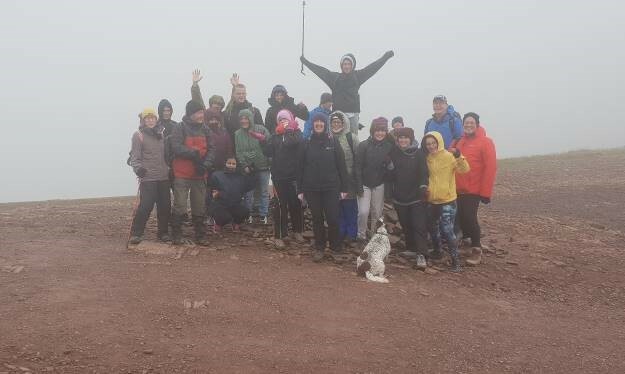 James and Emma Caldwell organized a trek up Pen-y-Fan in the lovely Brecon Beacons on 6th October. 20 hardy folk, nearly half of them school-children, hiked to the top of the mountain at 886 m (2,925 ft) above sea level, and one family dog made it too! It was rather misty at the top but the sun came out on the descent giving wonderful views over the hills. The event raised over £1,000. Our Hon Sec. Geoff had intended to celebrate his birthday by tandem paragliding as a fund-raiser. He booked up and paid, but unfortunately poor weather conditions conspired to defeat the plans, so this has been postponed to 2019. See appeal attached. 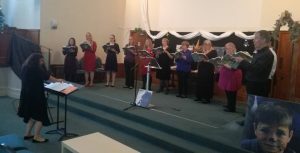 On Saturday 3rd June the Brigstow Consort and Blue Spirit Vocal held a concert to raise funds. The talented youngsters from local schools presented a pleasurable afternoon with great performances followed by cakes and drinks, raising a creditable £ 400. The Consort subsequently presented a most enjoyable concert of Christmas music and other pieces on 8th December, raising over £200. Well done folks! Income over the last year totalled about £ 27,000 including Gift Aid tax for which we and our Bulgarian colleagues are really grateful. Much of the total came from monthly giving which makes a huge difference to our income and the Centre’s ability to plan expenditure. Do please think about donating regularly, perhaps monthly. If you are a tax-payer you can gift-aid your donation which adds 25% at no cost to you! Its easy to set up as we do most of the paperwork, so just phone or e-mail me at any time. My number is 0758-4060-806. Our highly efficient Treasurer Mark Allen and his wife Claire have moved to Cornwall, and Mark feels he needs to retire. Thank you Mark for all your diligent hard work, and for completing the 2018 accounts for us. We wish you and Claire a long and happy retirement, although we know that means different, but not less, commitments!. We welcome Abraham Djumadi as our new Treasurer. Abraham was born in 1995 in Jakarta, Indonesia to Chinese parents. He moved to Australia when he was 5, and it was there he grew up and became an Australian citizen. 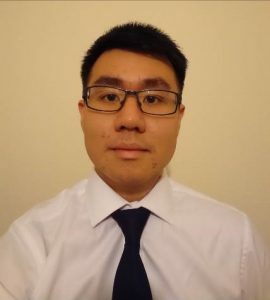 Abraham moved to the UK at the age of 17 to study computer science at the University of Bath, however part-way through his course he decided it wasn’t for him and eventually became an accountant. Abraham then started studying for his ACCA qualifications as a chartered accountant and has so far passed 9 out of 13 exams, with only what are called the “strategic” level exams to go. Abraham is working at the same time, having just recently started a new position as a junior finance business partner for Portman Dental in Cheltenham. Abraham, you have already become a key part of the Trust and we look forward to continuing to work with you. Thank you for taking on this important task. A group of really dedicated supporters meet periodically to pray about the people and work of Sofia Baptist Church, and our involvement with them. 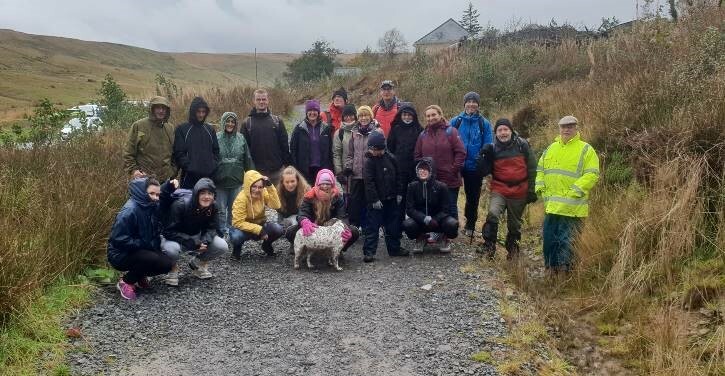 Many thanks again to Rachel and Andrew Green for organising and hosting these events last year on Sunday 4th January, 3rd June, and 7th October. More sessions are organized for 2019, so if you would like to be notified of the dates please e-mail Hon. Sec. Geoff on jandgwallis@gmail.com. These times are wonderfully uplifting so you will not be disappointed…….just try it! This year we shall be funding the purchase of a cooker and other kitchen equipment for the Feeding station, costing £4,400. Hon. Secretary Geoff is again going mad, so please read the attached appeal and PLEASE DONATE GENEROUSLY ! Please join our Facebook Group for the latest news, and do please comment or ‘like’. This year we shall also be supporting the salary of a Manager in a bid to increase turnover. Monthly donations are particularly helpful in funding monthly outgoings, so if you would like to give in this way, however much or little, please contact me for a simple form. Remember, The Trust can claim an extra 25% from the Government through the Gift Aid scheme at no extra cost to you! THANK YOU to those of you who currently give monthly….YOU make a big difference! This entry was posted in Bulgaria in the news, Fundraising, Project Update on April 11, 2019 by BPTadmin.